Amman is the capital of Jordan, the home of some 4 million people and built on seven hills. Along the outskirts of Amman, there are a lot of abandoned building sites and homes but in the city, there are apartment buildings and high rise everywhere. Only the main streets in Amman have street names and it is fairly busy which makes it a hard city to get around. However, most Jordanians speak English and go out of their way to assist you. There was no public transport other than taxis which are reasonably priced. We stayed at the Kempinski Hotel in Amman and the staff could not do enough for us. We also spent most of our meals in their main restaurant feasting on their buffet. On our last day, we asked if they could prepare some lunch for the next journey and they provided us with a three-course meal. On our day of adventure we asked the concierge to arrange a car to take us to the Citadel, they decided we needed to detour to the blue mosque which is really named King Abdullah I Mosque. It was built in the 80s and has a lovely blue dome inside and out. The driver took us in and saw that an English speaking staffer could assist us. 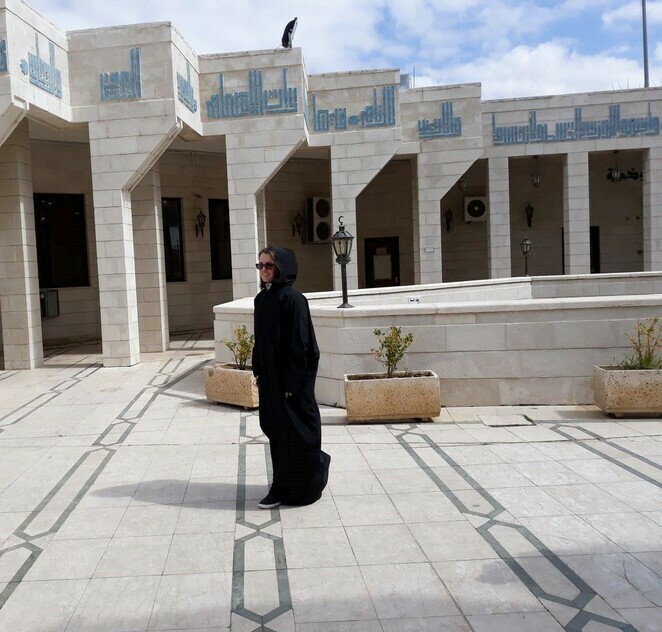 Mum and I had to put on a black robe before entering the mosque. 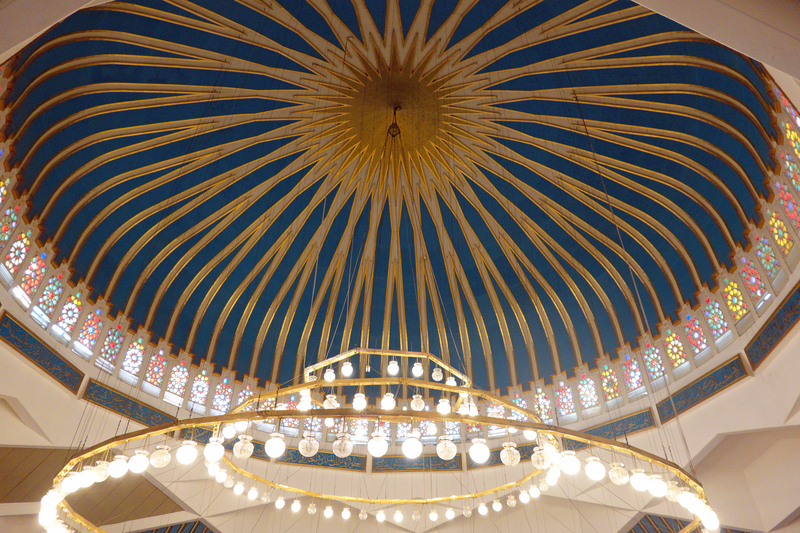 Once we were robed, we were shown the way upstairs, we had a small fee to pay to enter the mosque and were told to be quick as pray time was about to start. We had to remove our shoes before entering the Mosque. Surprisingly the mosque was surrounded by Catholic churches. From the mosque, we went to the citadel, which is the centre of the area called Downtown. The views from here are amazing with 360-degree views of Amman. There was a fee to enter the citadel and while we were paying, we were also offered a walking guide who would provide us with the history of the site and speak our language. From here, we decided to get a taxi to the start of Downtown, which is streets of market shops. 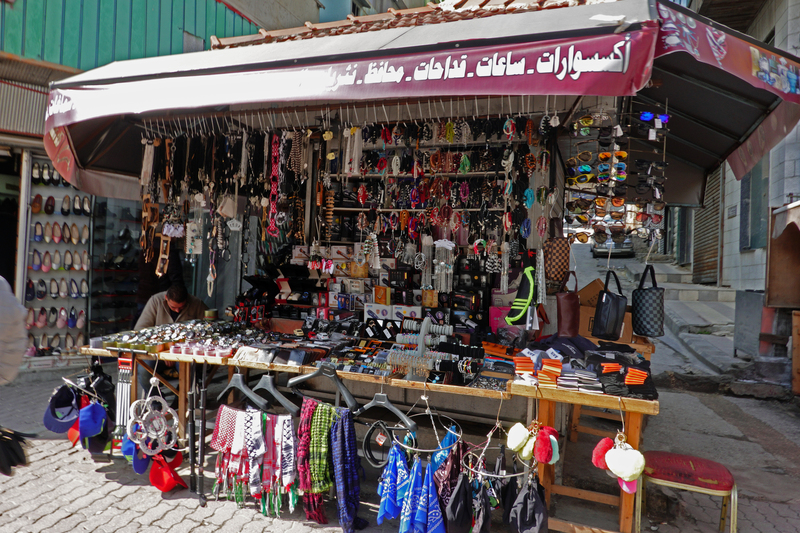 The market shops were mainly of traditional gowns, shoes and men's clothing. The markets went on for some time. We had kababs from a shop tucked away in a lane, it was great to mingle with the locals as we made plans for the afternoon. 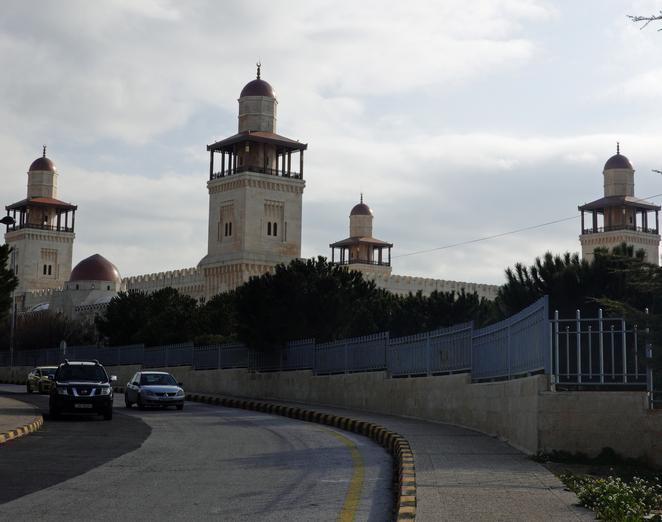 Then we headed to the other side of town to the King Hussain Mosque, only to be told non-Muslims were not allowed in. So we wandered down the garden to the main road in search of a taxi home. Sunday is the first day of the working week, which meant there was more traffic. The taxi fares were no more than 7JD which we worked out was not too bad and apart from pre-arranging a driver, there was no other way to get around Amman. It was a great start to an interesting country.